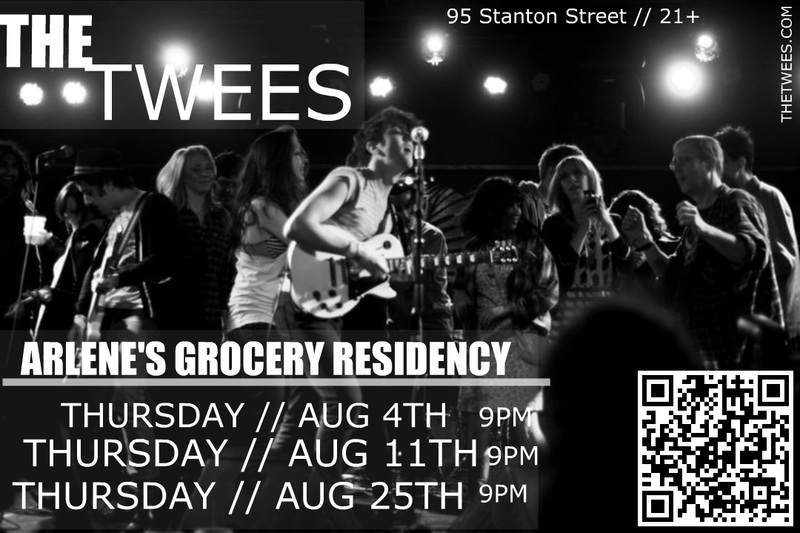 Hey New York, The Twees will be rocking Arlene's Grocery in August! 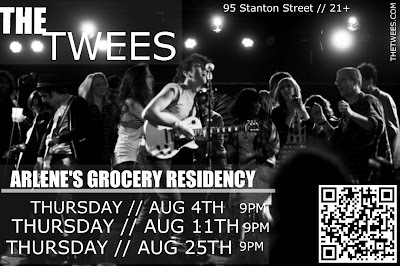 It's a residency so you have a few chances to dance and get sweaty... um, more sweaty! Swing by on Thursday, August 4, 11 and 25 at 9PM. Have some fun and show 'em lots of love.